The first new collection of Garrison Keillor monologues in five years. From America's favorite storyteller, here are 18 never before available tales of Lake Wobegon, hand-picked from live broadcasts of A Prairie Home Companion. 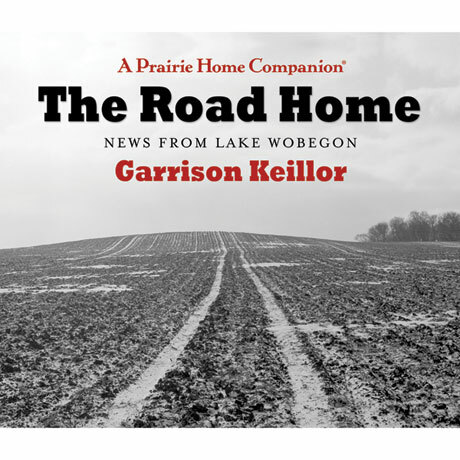 Garrison Keillor has been delighting audiences for four decades now with heartfelt, moving, and downright hilarious tales from the shores of Lake Wobegon. These expertly crafted stories are full of gentle humor, genuine emotion, and (more often than not) surprising insights into family, relationships, community, faith, and hope. A story about an ordinary day, any ordinary day. About a young woman and her bridal shower, about a fishing shack and when it's prudent to drive out on the ice. A story about springtime, and air thick with desire, or about the advantages of dynamite when you're digging a grave in winter. Interim pastors, and lutefisk dinners, hunting pheasant in autumn and a food fight with spaghetti. Home is a fine place to listen. No need for a parka. No need to get up. Just light the fire, make some popcorn and hit Play." The Road Home will take you all the way to where you already are. No place like it. No place at all. Over 3 hours on 3 CDs.